What is the Purpose of the High School Student Exchange Program? To promote international understanding and friendship between the people of Oregon and Costa Rica. To provide students from both countries the broadening educational experience of living in another culture, with opportunities to develop conversational skills in the language of the host country. To strengthen ties of partnership between Oregon and Costa Rican high school students and their families. Special Note: As part of the exchange, student travelers are expected to host and recommend 2 other families that are interested in hosting a Costa Rican exchange student for four weeks during December 2018 - February 2019 for the Partners Northbound Program. If you hosted prior to travel, we still require the 2 recommendations for other families to host. Up to 25 Oregon high-school students travel to Costa Rica in June, live with families, and attend school for 8 weeks (No Studies). They are accompanied by two chaperones. Departure from Oregon is June 2019 with the return from Costa Rica in August 2019. Travelers depart shortly after the end of the school year; exact dates will be set at the start of the application cycle. Oregon students go to Costa Rica to improve their Spanish skills, attend high school, and experience family life in Costa Rica. This enables them to be both bilingual and bi-cultural. Students have an opportunity to know Costa Rica and to make long-lasting friendships. If you are a high school student, have successfully completed at least two years of high school Spanish, and have completed your sophomore year of high school by the time of departure, print the application found in this web site on the Student Travel Page. Who is Partners of the Americas? 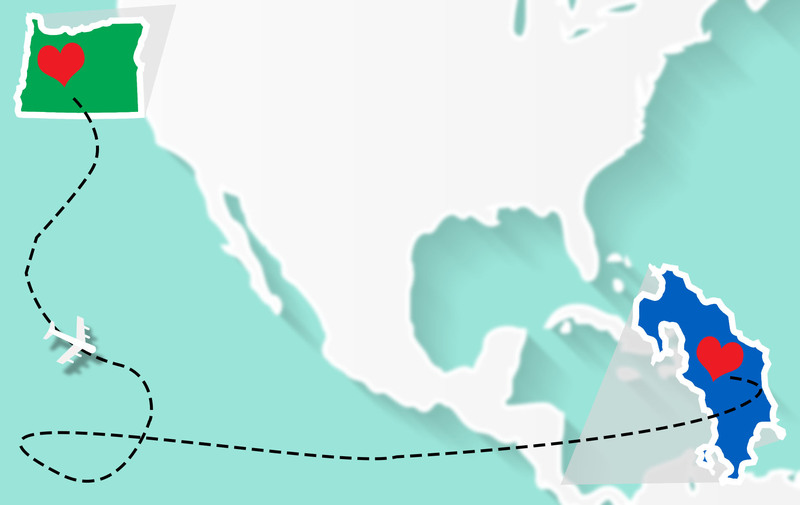 Partners of the Americas originated in 1964 under President John F. Kennedy’s administration. “Partnering” states in America with Latin American countries enabled the two to form friendships, cultural exchanges, and assistance in various forms. Under this program, Oregon was partnered with Costa Rica. The original exchanges were between businessmen and politicians but then expanded to include senior citizen, teacher and student programs. In 1966, Mrs. Margaret Byers, a Salem Spanish teacher, took five boys and five girls for a few weeks to stay in Costa Rica. 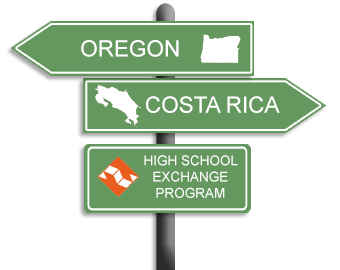 A few years later, the Partners Of The Americas Oregon-Costa Rica High School Exchange Program began. It has expanded to two full months and up to 25 students. Partners of the Americas is a non-profit organization made up of several committees of volunteers: students, teachers, schools, business people, professionals and families–all interested in promoting increased understanding and cooperation between Oregon and Costa Rica.